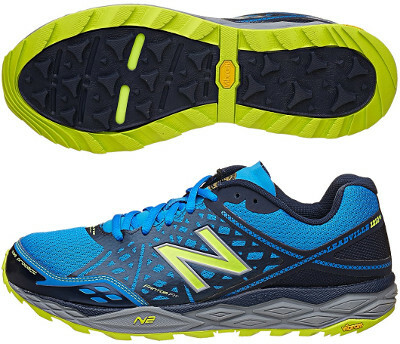 New Balance Leadville 1210 v2 are neutral trail running shoes. The New Balance Leadville 1210 v2 is one of the most popular models among neutral runners who enjoy ultradistances (beyond marathon) over the mountains or through dirt tracks. It is a premium shoe plenty of soft cushioning with a medial post for better stability. This new edition of the Leadville 1210 v2 features a better performance on tough terrains than its predecessor the Leadville 1210 although not intended a technical shoe. Upper has been redesigned looking for better midfoot fit with redistributed FantomFit™ strips while TPU reinforced toe box is slightly wider for better comfort in long runs. Midsole cushioning relies on lightweight foam REVlite™ layer for superior responsiveness on top of full length N2 (Nitrogen-injected TPU) foam. There is a TPU rock plate (Rock Stop2™) to protect against sharp elements and Vibram™ outsole provides durable traction and enough grip even on wet surfaces.